I recommend you to watch it? "I recommend you to watch it." 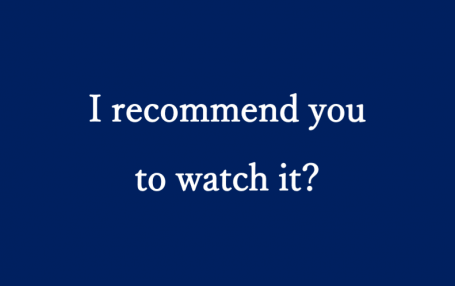 � "I recommend that you watch it." � "I recommend watching it." � "I recommend it to you." "I suggested/recommended that he (should) watch it." "I recommend that you watch it."